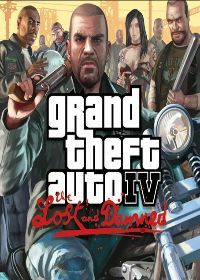 Grand Theft Auto - The Lost and Damned is the most popular extension of Grand Theft Auto 4 on XBOX 360th As usual, it boasts a great storyline and action-containing scenes. Of course there are a lot of cheat codes for Grand Theft Auto The Lost and Damned, and this we have here for you. To get back to full armor in GTA The Lost and Damned, you can cheat at this GTA 4 - The Lost and Damned is bien runs into your phone. Here´s..
To Grand Theft Auto The Lost and Damned, the life energy, defense (Armor) and replenish ammunition, you need only enter the following cheat .. If it the wanted level in Grand Theft Auto want to cut back the Lost and Damned, then you can achieve this with the following cheat. Give th.. When will your Wanted Level in GTA The Lost and Damned is not high enough, you can with this cheat code to get more stars. Give the cheat simply with the pho.. Even the heavy weapons you can cheat in Grand Theft Auto The Lost and Damned on the XBOX 360. To do this you need only this cheat code to enter in your phone.. If you want more information for the playing song on the radio in GTA - the Lost and Damned, then use the following cheat code. Should the weather not fit into Grand Theft Auto 4 The Lost and Damned, you can change it easily with this cheat code. Give the cheat in your phone as usual ..
Give in this Grand Theft Auto - The Lost and Damned cheat code und you will get the FIB Buffalo (Dodge Charger). These can be found here. Give the code into the phone just as usual, and you get the Annihiliator. To get the Maybach 62 - bettern known as the car cognoscenti in GTA The Lost and Damned, give in the following cheat code. The comet - car in Grand Theft Auto - TLAD is a Porsche 911 simular locking car. Give in this cheat code into you phone in GTA for the Porsche (car comet). Give in this Grand Theft Auto lost and damned cheat code and you will get the jetmax speedboat in front of you. The sanchez dirt motorcycle is creating in front of you, after you give in the following cheat code for the sanchez motocycle. Of course the nrg 900 you can get with a cheat code to. The following cheat code gives you the nrg 900 sports motocycle. The fast turismo sportscar you will create in front of you by typing in this cheat code for Grand Theft Auto The Lost an Damned on XBOX 360. Also the van of the burrito gang in GTA Lost and Damned you will get bei giving in this cheat code. This cheat only works in Grand Theft Auto - The Lost and ..
AN aston martin simular looking car in Grand Theft Auto - The Lost and Damned ist the sportscar super gt. Give in this cheat code on your XBOX 360 while game.. The motocycle hakuchou is an GTA The Lost and Damned exclusive vehicle. When you wish not to search for it, you can also do a little cheat. Here is now the c.. Since Grand Theft Auto - The Lost and Damned, there is an stylish streetbike called double T. You can get this motocycle when you give in this cheat code for..
Of course there is an custom cruiser bike in GTA The Lost and Damned for XBOX 360 to. Its called "innovation" and ist a nice custo..
One of the popular new motocycles in GTA The Lost and Damned ist the streetcruiser hexer bike. This bile is often used by motocycle gangs in The Lost and Dam.. The fifties are back by riding this slamvan in Grand Theft Auto The Lost and Damned on XBOX 360. This cheat code will create the van in front of your charakter.